Are real leaders those that put principles above profit or at best, put them on the same scale? Can a monkey in America become a guerrilla (a higher animal) in Africa and vice versa? Everyone wants to be where s/he has not been. But there’s no place like home. I believe that there is an “out-of-station anointing”—improved performances as a result of playing an away match! Because of over familiarity, some leaders perform better outside their region or territory. That is what I mean by “out-of-station anointing.” However, I am beginning to wonder if a monkey in America can become a guerrilla (a higher animal) in Africa and vice versa? Your thoughts. What is the most coveted leadership skill in times of recession? Is recession a blessing in disguise? What is wrong with capitalism? In recession, people tend to save more, smoke less, be fitter, thinner and greener. Is recession a blessing in disguise? What is the most important skill needed by leaders during recession. By the way, did anything go wrong with capitalism? Bernard Madoff gets maximum 150 years in prison. Lessons learned? What's worse: Lost of money or lose of trust? Some मदोफ्फ्स still out there today? Bernard Madoff gets maximum 150 years in prison… the man behind the curtain? Is this good enough for him? Everything covered will be made open one day. Lessons learned? What's worse in Madoff's case? Lost of money or lose of trust? Do we still have some Madoffs still out there today? Can we be fooled again? Are breaking the conventional rules, thinking outside the box the old/new mantras for the greatest leaders? Consultants for the Gallup Organization Marcus Buckingham and Curt Coffman in their masterpiece "First Break All the Rules: What the World's Greatest Managers Do Differently" arrived at this conclusions after analyzing data collected by Gallup over 25 years - using an impressive sample size of 80 thousand managers and 1 million staff from 400 companies. They debunked some of our dearly held notions about management and leadership, such as "treat people as you like to be treated"; "people are capable of almost anything"; and "a manager's role is diminishing in today's economy." "Great managers are revolutionaries," the authors write. “First break all the rules—great leadership manifesto…Is this thinking outside the box? Now, all rules finally went kaput! What do you think? Are breaking the conventional rules, thinking outside the box the old/new mantras for the greatest leaders? When is the right time to tell a laggard in the leadership team to straighten up and fly right or hit the road jack? Coaches and mentors are known for their patience in leadership development. But we all know that patience “expires” sometimes. So, when is it appropriate to tell a leader (even though extremely talented) who is perpetually a foot-dragger to knock it off—shape up or ship out? What do you expect from authentic “Leaders and Thinkers” that think outside the box? Why think outside the box...? What are your expectations from a professional group, especially this one that emphasizes on authentic “Leaders and Thinkers” that think outside the box? Why do you think that thinking outside the box is a sine qua non for changing our world for good? What wrong with the status quo? If you enjoy this group, kindly invite other likeminded thinking leaders to join today. Legacy: As a leader, what do you want to be remembered for? I read the account of Methuselah who lived for 969 years, almost 1000 years. This dude lived the life of 10+ people! But his Legacy was written in two sentences. In fact, there was nothing to be remembered about Methuselah except that he was the oldest person that ever lived, and he had sons and daughters. Sons and daughters? The Octo Mom Nadya Suleman had proved to us that that’s not a big deal. Great legacy? I teach college students Principles of Marketing. I have argued that in most ways, we are all marketers or at the minimum, salespeople, without knowing it. Everything we do, say or write, at work, home, in the community or online, is an act of selling. We are selling ourselves—making impressions of ourselves. Thus, we leave a legacy that remains when we are gone. So, it’s not how long we lived but how well. Can we say that the AIG boss, Edward Liddy is the scapegoat of regulatory irresponsibilities and leadership? Everyone is angry with the ailing insurer, AIG and its resent executive bonuses totaling $165 million. Are these guys out of touch with realities? I believe that those that take more risk should be rewarded more. Those that make bad choices should not be rewarded with taxpayers’ money. But are you frustrated that authorities knew of this provision for executive bonuses about a year ago? It was not concealed. Some cable news reported of this Novembers 2008. Before the last disbursement of the bailout fund, the regulatory body new of the bonuses, including the date of the payment, and could not stop it. Liddy was brought in about six months to oversee this company that has received $182 billion in federal bailout money, said he, too, was angry about the bonuses. He was not there when the contract was made. He voluntarily pays him $1 per annum. Who is your most inspirational leader? What leadership traits separate him/her from others? Who is your most inspirational leader? What leadership traits separate him/her from others? Without doubts, a good leader is first a good follower. Why it could be argued that the test of leadership, among other things, are keeping your head in stressful times and charting the future, succession seems to be the ultimate test of leadership. All you mentors and coaches, who are your mentors, most inspirational leaders and why? Is succession the test of leadership? How do you exit? With grace or विथ grass? Is succession the test of leadership? How to you exit? With grace or with grass? Mention five greatest leaders of the free world in the last century. Who are the last America Idol finals in the last five seasons? Mention five greatest scientific inventors and inventions of this decade. Who are the last five Noble Prize awards winners? Who is the reigning Miss America and Miss Universe? Mention five Dove Award and five Golden Globe Awards Winners for 2008. If this is a real exam, many will be thinking of making a “D” by now. Mention five people who have inspired you in your career or life. Mention five people you will regard as your heroes since your childhood. Mention five teachers, mentors or instructors that have impacted your life or changed your life forever. Mention three people who were there when you were at the bottom--friends closer than a brother. Mention five people you’ll be delighted to have a lunch with. The later sets of questions are simpler than the former ones. Right? Who are the real leaders? Those with much awards, accolades and recognitions or those that make remarkable difference in your life? Real leaders are those that make a difference in people. They want to leave a footprint on the sands of times. They are fathers who look onto their children to be greater than them. They are mentors who are not afraid of the mentored. “Leadership is the art of getting someone else to do something you want done because he wants to do it”~ Dwight Eisenhower. It’s my opinion that leadership continuity is a strategic imperative for corporate survival or the survival of any vision. While it could be argued that the test of leadership, among other things, are keeping your head in stressful times and charting the future, succession seems to be the ultimate test of leadership. How many leaders that burned the bridge can you remember? May be, you remember the sigh of relieve at the mention of their names. It does not make sense to burn the bridge because everything that goes around comes around. You may need that bridge you burn today someday. But what is most important about exit is succession and continuity. I believe that the test of leadership is succession. The biggest failure is not necessarily one that did not succeed but one that succeeded without a successor—then everything he built is rubbished in twinkle of an eye. A gentleman is one that even though he wants you to go to blazes, he packages and delivers it in such a manner that the recipient receives it with thanks. Wisdom is profitable to direct. Can we say that even in the worst scenario, exit with grace? It all depends. Wait, while it is always best to leave with grace when ever possible, that is not always the case. It is a good idea not to burn the bridge but sometimes the bridge is burned by others and for good reasons. So, let the sleeping dog to lie. Do you have a successor? Succession planning process, which is a continuous, intentional methodical endeavor organizations perform to guarantee “…leadership continuity in key positions,” (Rothwell, W. (2002). What are your plans to make a difference in the lives of the people you are leading and guarantee continuity? The test of leadership is succession. What do you think? The truest leader is the finest gentleman. Weak folks have the tendency to be harsh and abusive to compensate for their inadequacies and insecurities. The truest leader is the finest gentleman. Weak folks have the tendency to be harsh and abusive to compensate for their inadequacies and insecurities. Can one be a gentleman and a great leader? The truest leader is the finest gentleman. 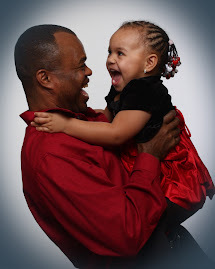 Gentlemanliness is the prime characteristic of a real father and a leader. King David said, “Thy gentleness has made me great.” Gentleness is a manifestation of real strength. Weak men and women have the tendency to be harsh, hostile, manipulative, and abusive to compensate for their inadequacies and insecurities. The strength of a man or woman can be found in the gentleness in which he or she handles matters. So, you call yourself a leader? Can one be a gentleman and a great leader? What do you do when no one assumes leadership? Nature abhors vacuum. “It is not the critic who counts; not the man who points out how the strong man stumbles, or where the doer of deeds could have done them better. The credit belongs to the man who is actually in the arena, whose face is marred by dust and sweat and blood, who strives valiantly; who errs and comes short again and again; because there is not effort without error and shortcomings; but who does actually strive to do the deed; who knows the great enthusiasm, the great devotion, who spends himself in a worthy cause, who at the best knows in the end the triumph of high achievement and who at the worst, if he fails, at least he fails while daring greatly. So that his place shall never be with those cold and timid souls who know neither victory nor defeat.” ~ Theodore Roosevelt quotes (American 26th US President (1901-09). What do you do when no one assumes leadership? What is the fine line between ambition and indifference? Shouldn’t we do what is right rather than what is legal? Take charge myself.... then determine who should truly own and lead the effort. Once done, gain concensus and drive the case for ownership by said individual or group. The third option option can be implemented in various ways. As long as the goal is noble, means to the end does not matter - whether it is to lead from the front or influence the group(or the de facto leader). Distinction between ambition and indifference is very easy to spot. Ambition has positive vibes while indifference has negative. It is clearly reflected in the character of the individual. As someone once said: A person's character is revealed by what (s)he does when nobody is watching. One should never forget that true leadership is commanded and NOT given. You lead because people follow. You owe it to yourselves and to the followers to always do the right thing. Lead, or follow, or get out. Benjamin, you bring up a matter that, in my opinion, is at the core of why so many membership-driven clubs are struggling today, with many already having "closed up shop." In his book Bowling Alone author Robert Putnam traces historical patterns of the decline in civic engagement since the 1960s. I highly recommend this book to anyone who hasn't already taken it in. Less willingness to serve in a leadership capacity is one of those aspects of civic engagement tracked by Putnam in his book. I have been in leadership roles in volunteer organizations and clubs since my 20s, and being that I just turned 60, I have a few decades of experience around this matter of a void in leadership. What I believe is incumbent upon the existing leaders of any group is to help the members see that leadership can be a joy and something worthy of devoting one's time and energy to - as opposed to a drudgery that someone has to do. In addition, current leaders need to constantly keep their antenna up to notice the next generation of leaders in that group, be willing to hand over the reins at the appropriate time and available (if needed) to mentor those new leaders. What I have noticed in Toastmasters clubs is that the clubs that struggle with membership challenges and low energy have leaders who stay too long in their position, perhaps not trusting that next generation to capably lead the group. Finally, I believe that if a group essentially has one leader who is fast approaching burn out and has tried and tried to solicit others to take on leadership roles, well it just might be time for that group to dissolve. All great answers, but Sandeep voices my thinking exactly. I've always done what's right for my company, customer and team mates, usually in that order. But doing what has always made me successful failed me in my last position. I was forced out. I've talked to a few people I use to work with, who were on other teams. These people were some of the best I worked with, true leaders. They were forced out also. They were as puzzled as I was. So I've had lots of time to figure out what happened. When a company's leadership is siloed with no accountability to business outside their silo, you have big trouble. Now all that matters is doing the right thing for your manager, forget anything else. It may seem doing what's right for your manager would have the same results as doing what's right for the company, but that isn't always true. I mention my experience to make you aware of this difference. As more companies cut their resources, there will be more emphasis on making a profit. I'm afraid, ethics or doing the right thing will take a back seat. This is an another extreme question Benjamin. My first thought is nothing but a group of people is no one takes leadership. Then I rethink the ambiguity of your questions and what little I know of your personality. There is a huge line between ambition and indifference, almost opposites. Ambition is wanting something so much you can taste it and indifference is not even knowing what it "might" taste like or that IT even has a taste. Doing what is right, or what is legal. Loaded question my new friend. If what you THINK is right although illegal, then your choice is how much you believe in the importance of being right. Can your ego let the thought of being right go at the cost of being legal? You'd have to provide a case and determine it case by case because each case has unique variables. Natural born leaders will step up for sure but wise Christian servants of the Lord will consider the variables and take the matter to God and see what to do and not be so foolish as to just jump in and take control. Many verses and cases in the Bible address this issue. The wise will dig them out and the foolish won't. So present the actual case facts and then discuss it, rather than an abstract general "what if "case. Seen it happen. Normally there is enough organization to where there is someone to answer questions. That is all management typically does. In good companies those situations are worked out ahead of time. If not, you may want to consider jumping ship. I have quit jobs for problems less than that. I don't tolerate impractical companies. No one should. There's always a leader...even if it's the first guy to shrug his shoulders and sigh. Unbridled ambition can also lead a person to jump into a leadership role they're not prepared to handle, and really, there's no such thing as indifference. Better to ask why there's a lack of leadership in a given situation, and then work as a group to define the leader's role, and finally, seek the best person to fill it. Legal vs. right...as for me, I only have one rulebook and one judge, others have theirs. When the two cross, mine has yet to let me down. Not true. One has a purpose and the other doesn't. There is a gulf between them. "Shouldn’t we do what is right rather than what is legal?" Absolutely, but in a competitive market, legal and financial constraints are the only playing field levellers we have got. And on a global scale, even these don't work. We see human and environmental exploitation rampant. Humans and the environment are competitive issues and until a way out of that is found, there will be no right. And don't rely on our nanny-state politicians. They only pretend that they know what they're doing. figure out why no one is leading. I have to agree that if there is no leader and I deem the cause worthy that it is my responsiblity to be the leader. But..What about when the 'leader' is not leading (I am not speaking in terms of my opinion of the leadership provided, just simply the lack of leadership by the appointed leader)? I would tend to think that the step up and take the lead approach creates apathy in that person. What do you think? You'll are fun! Fabulous answers! David, I think "gulf" is better than "fine line." People should lead, follow or get out of the way! * Is this important enough to me for me to take a leadership role? * Are people waiting for permission rather than taking action? That's potentially a clue that the culture slays people when they make mistakes. You can't have peak performance (or cultivate leadership) until you drive out fear. * Is there a direction that people have agreed upon and that more than one person is fired up about? When you don't have buy-in you have a limited pool of potential leaders. * Have one or two committed people created one or two overwhelming roles that they've now burnt out on? Unless they look at HOW the work gets done they create an all-or-nothing environment that discourages leaders from stepping up. There's way more to this, but enough for now. Right now this is my situation in my venture. But I decided not to return back with zero and will try, still trying till the end of my last breath.Want to know the root cause and searching like mad and of course hope is there to got/achieved my quest to leadership a little bit. And striving for at moon place if not at lease get a place with stars. If we not tried then how do I/We know what is right or legal? At least we should try for which is going to happened. Patience, persistence, to be implemented . and overcome any negative hurdle and stay focus on Positive way. Many to be pondering............Writing from my own experience. In most circumstances there is generally more than one individual who is willing to "step up to the plate" & lead the way. The key to the teams success will lie within determining what skill is required for the leader of this unit, & then assessing who fits the profile, both internally & externally. Getting in & driving the appropriate behaviour in identifying the leader, will yield a sustainable/desireable outcome over a longer period. Whats the greater injustice, having no leader at all, or a the leader with the wrong attributes for the required team & task at hand? Reevaluate the goal. Make sure it properly aligns with the business strategy. If no one steps up there is a misalignment somewhere. I am a bit disturbed by Sandeep's claim, that when goal is noble, ends justify means. Since most goals can be presented as noble, it leads to disasters. History knows many examples of that. Right or legal - not a fair question, since both are relative (country/culture/religion). Better stick with what is right within legal in your environment. We cant go higher then our faith.If you feel you are ready then step upfrond and take charge, if not step down and let the one who is take the lead. Many people today have stept in where they dont belong they are wearing bigger shoes thats why we are in this mess around the world! Hi Benjamin, Why do you think no one will assume leadership? They certainly will its matter of time. Most leaders are shy people, they do not want to stand-up and shout aloud and make a fool of themselves. To be a good leader, they need the opportunity and gain some experience to lead. I am sure some one will soon stand-up and start shouting load. I am only scared of waking up barking mad dog to lead us. This law of nature, it happens all the time in our the world, more powerful than "Darwin’s Theory of Evolution"
“When the world gets out of control (present), a mad man will be born to lead; the good ones will be helpless as this mad man leads to destroy the universe". It is like waking up a sleeping lion, please watch him, a force that is difficult to curtail. He will be ruthless, strong and passionate about what he wants to achieve. These leaders will shun away their family, worldly possessions and simply believe in what they do, and “LEAD US”, you and I will have no choice but to follow this leader like a lame duck. I am here in your group because I am not keen to take the back seat and watch the drama unfold. Depends... without vision we perish... IS THERE A VISION and if so ... what are the accountabilities. Where there no vision ... it is a social event and ENJOY especially is you are getting paid to participate. Think first where you stand and determine the extent of your power or authority. Know your strength and weaknesses, and don't hesitate to seek for help if you think that you cannot competently do the tasks at hand. Our society has so many legal impediments and limitations, and it is stupid to set them aside otherwise you will land in jail. Hi there Benjamim and all. My answer to the question, What do you do when no one assumes leadership? is simple... LEAD 360º You can lead from every part of the organisation. It's in you to make the difference. To the question Legal vs. Right...Always Legal! "Also I heard the voice of the Lord, saying, Whom shall I send, and who will go for us? Then said I, Here am I; send me." --Isaiah 6:8. What you're asking is inconsistent with the verse above. Not everyone is prepared for leadership and the one's that are equipped are afraid to take the lead because of what others may say. Some are downright ashamed of the Gospel because of teasing, hatred, and not being a good student of the Bible. Paul stated: "For I am not ashamed of the gospel of Christ: for it is the power of God unto salvation to every one that believeth; to the Jew first, and also to the Greek." --Romans 1:16. Being a teacher of Leadership, I train all my student to be prepared to take charge. Many are afraid, many are embarrassed, many are overly aggressive which takes us to every corner of the spectrum. The problem lies in the amount of time we have to make the decision and how important or dangerous the decision is. When people come together there's normally a formal leader that has the leadership position and is thus empowered to make decisions then there's the informal leader, the leader that the group trusts and expects to take over when time is crucial. However, if the two leaders are killed or unable to physically perform, what happens then? We must prepare other to be leaders. In my 26+ years of Air Force service, we build leaders. It's our job to train each person under us to be prepared to take over when I and others move on. We must empower others to take leadership positions or pray that God will make them "willing to be made willing." We must be conformed to the image of God and be always ready to give an answer. We must face the world everyday and be girded up for the battle. If we're looking at this from a godly perspective, we have our instructions in the Bible. Leaders don't run from problems they run to the problem and plough through it. "When Goliath started forward, David ran toward him. He put a rock in his sling and swung the sling around by its straps. When he let go of one strap, the rock flew out and hit Goliath on the forehead. It cracked his skull, and he fell facedown on the ground. David defeated Goliath with a sling and a rock. He killed him without even using a sword. David ran over and pulled out Goliath's sword. Then he used it to cut off Goliath's head. When the Philistines saw what had happened to their hero, they started running away." --1 Samuel 17:48-51. If we are looking at it from a worldly perspective, we must run to Throne of Grace and ask the Lord to forgive us. We must keep the Word of God and hide it in our hearts that we will not sin against God. We must pray without ceasing thus, having His Word first and foremost on our minds. By doing so we will be ready to assume the lead from a godly perspective. Then you get the mess that we are in today. As a person once said, The only thing evil needs to triumph is for good men to do nothing. Self serving leaders will always emerge. They are ambitious, selfish, have large egos, often charismatic and eloquent. Hitler is one example of an obvious terrible, but effective leader. The German citizenry accepted his views thereby affirmed his leadership. Servant leaders are the opposite. Selfless, sacrificial, principled, and passionite about the mission and greater long term good of the organization. George Washington is a great example of this kind of leader. William Wallace and Jesus Christ were others. Apathy of course is inbetween. If we have learned anything from our current financial mess, it is immoral decisions sans any principled and accountable leadership can negatively affect many innocent moral people. That is the price of indifference. In terms of doing right versus doing what is legal, stay legal unless it violates God's higher law. If you want to avoid a conflict between the two, I reference back to my second sentence. First of all be thankful - because at least there is nobody doing it for the wrong reasons. Secondly, nurture the team as a group (don't lead it). A leader will emerge eventually and in the meantime you will have a team that works together.